Andargachew Tsige, was arrested while transiting through Yemen last month. Ethiopian Officials Not Confirming His Whereabouts. According to Ginbot 7 and sources an exiled Ethiopian opposition leader with British citizenship, who was sentenced to death in absentia, has been extradited to Addis Ababa, according to his group. 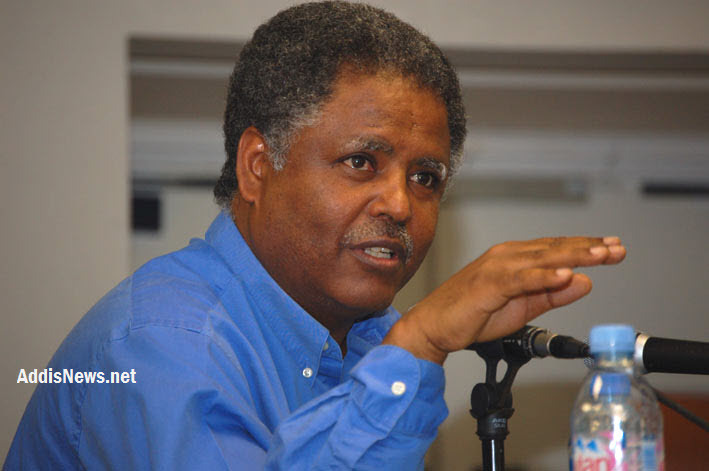 Andargachew Tsige, secretary-general of Ginbot 7 that labelled as a terrorist organization by the Ethiopian government, was arrested while in transit through Yemen last month. Britain has expressed "deep concern" about his fate. "Andargachew has been given for slaughter," Ginbot 7 said in a statement on Friday, warning Yemen that it had made a "historic mistake". Tsige is Ethiopian-born with British citizenship. "We declare a war in the name of Andargachew for justice, freedom and equality," Ginbot 7 said. Andargachew was one of a group of 13 men who in 2009 were convicted in absentia of plotting a coup. Addis Ababa said at the time that the group had planned to kill government ministers and blow up power and telecommunications facilities to provoke demonstrators who would then march on government buildings. Britain's Foreign Office said it was investigating reports and working to confirm Andargachew's whereabouts. "UK officials have pressed the Yemeni authorities at senior levels to establish his whereabouts," it said in a statement. "We are aware of reports that he may now be in Ethiopia and we are urgently seeking confirmation from the relevant authorities given our deep concerns about the case." Ethiopian officials would not confirm if Andargachew was in Addis Ababa. "I have no idea," Dina Mufti, a foreign ministry spokesman, told the AFP news agency. The US-based Ginbot 7 was founded by the former mayor of Addis Ababa, Berhanu Nega, currently living in exile in the US. Getachew Reda, an Ethiopian government spokesman, on Thursday called Andargachew "a criminal" who would "have his day in court". Several people were convicted under Ethiopia's anti-terrorism legislation in 2012 for having links to the group, including journalist Eskinder Nega and opposition leader Andualem Arage. Ginbot 7 says it is fighting for democracy in Ethiopia and calls for the violent overthrow of the ruling party. Its name commemorates the Ethiopian calendar date - May 15 in the Gregorian calendar - when post-election violence in 2005 left more than 200 people dead.